It’s one of the most popular tourist destinations in the Mediterranean Sea. Millions of people visit it every year and there are lots of reasons why you should make the trip. Famous as a party hotspot, Ibiza is a beguiling isle with a world of entertainment on offer for the kids too. Forget about the superclubs and prepare yourself for the ultimate family holiday destination. Here are some of the best places for you and the kids on your visit to the White Island. There’s more to the island than its beaches, and Ibiza Town is a gem worth traveling to the Balearics for in its own right. The bustling port town is awash with history. From the stunning Catedral de Santa Maria atop the town down through the cobbled streets of the Dalt Vila (Old Town) to the harbour below, the kids will enjoy a walk through the picturesque place. Make sure and take in a film at the open-air cinema and enjoy the balmy Mediterranean evening with the family. The perfect beach-front family-friendly resort, Cala Llonga is one of the finest places to take your kids in Ibiza. Cla Llonga has one of the largest beaches in Ibiza, replete with perfect golden sands and gently lapping waters. The beach is ideal for little ones to have fun as it contains a playground and small amusement park. There are also plenty of other amenities in the area with shops aplenty, and lots of bars and restaurants for the grownups. Es Caná offers a super location for the family. Home to the famous Hippy Market, the kids will love looking at the assorted stalls selling vintage jewellery, toys, and everything in between. They’ll also love the area’s beautiful beach and warm waters. Es Caná is chock full of friendly hotels and has all sorts of water sports to enjoy like water skiing, windsurfing or parasailing. Ibiza is a beautiful island, and nowhere is this beauty more apparent than in the north of the island at Portinatx. With three pristine beaches S'Arenal Gros, Playa Porto Beach, and S'Arenal Petit the warm shallow waters are some of the safest and most family-friendly on the island. The hotels in the area are also perfect for the kids, and the area has a delightful small town feel - a world away from the busy resorts like Los Cristianos on the south of the island. Portinatx also has some dramatic scenery to enjoy, with the Mediterranean’s highest lighthouse and a number of sea cliffs. Take the family to a picturesque sheltered bay surrounded by lush greenery for the ideal Ibizan holiday. Cala Vadella is one of the most popular resort areas on the island for families, and with safe, shallow and warm waters it is no surprise as to why. The resort is also slightly out of the way on the west coast of the island, meaning that there isn’t a great deal of through traffic, giving it a pleasingly quiet vibe. Hire a pedalo, or take a trip to the dive school, alternatively just laze the day away on the beach, it’s up to you! The culinary hub of the island, Santa Eulalia offer a quiet resort ideal for little ones. With a number of the island’s best restaurants you’ll not want for delicious food, and the picturesque Yacht Marina is ideal for a walk on a sunny day as is the scenic palm-lined promenade. Close to the airport, the resort town is perfect for a short break in Ibiza. One of the livelier resorts on the island Playa d'en Bossa has plenty to entertain older children and teenagers. While maybe not the best location for a quiet break, the resort offer an endless amount of things to do. 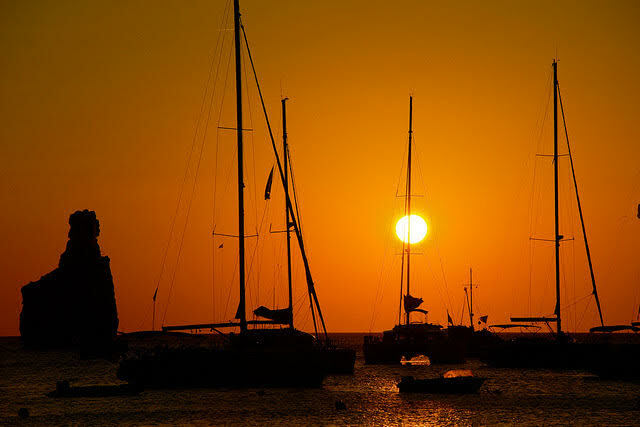 Containing the longest beach on the island there are also some of the finest amenities to be found on Ibiza. From chilled DJs during the day, to catamaran trips, jet skis, and a multitude of other watersports Playa d'en Bossa has plenty to entertain even the grumpiest teenagers!